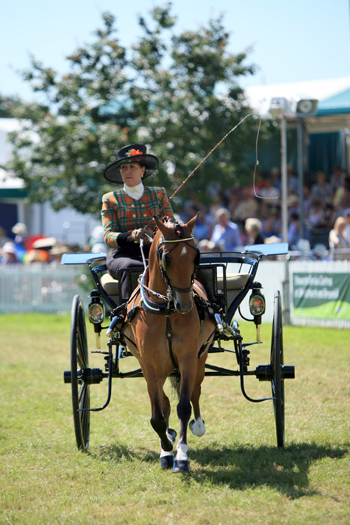 Forest and Hampshire County Show will be held this year, from 30th July – 1st August 2013 at New Park, Brockenhurst in Hampshire. Each day the show is open from 8.30am until 6.30pm giving visitors plenty of time to enjoy the myriad activities and sights on offer, including the Grand Parade and heavy horse musical drive. At this traditional agricultural show visitors can watch international show jumping as well as enjoy the traditional livestock competitions including cattle, sheep, poultry and honey bees. Added excitement comes in the form of the Devil’s Horseman display team and their derring-do set pieces in the main arena. The organisers are keen to promote everything about the countryside, not just traditional agriculture. Forest and Hampshire County Show as well as Hampshire’s answer to the Chelsea Flower Show and numerous delicious food stands. of Wessex will visit the show on Wednesday 31st July, a follow on from the visit made by HM The Queen and HRH The Duke of Edinburgh last year. Forest and Hampshire County Show website.